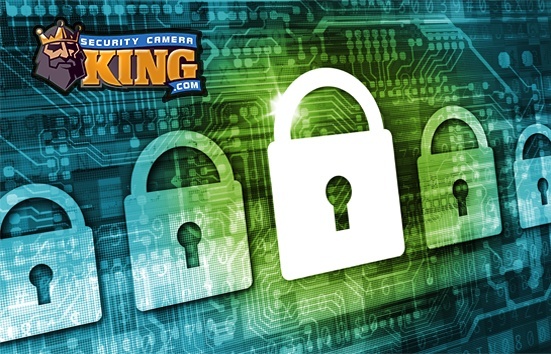 CCTV video security surveillance equipment or closed circuit television video security surveillance equipment can provide all of your security and monitoring needs. Contemporary CCTV video security surveillance equipment offers several features and great versatility along with affordable prices that make this equipment and excellent choice for business and residential applications. CCTV video security surveillance equipment consists of a few basic components that make up the security systems. Each of these components offers convenient and often highly technologically advanced features that create the versatility of the system such that the equipment can be used for nearly any situation or application. In addition, there are several additional components that can be added to a basic system with ease. Probably the most important component is the digital video camera. 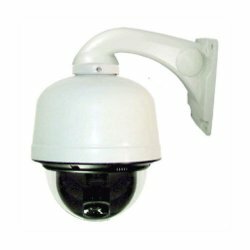 Digital cameras for CCTV video security surveillance come in a variety of types, sizes, and functions. Cameras can be classed as either indoor or outdoor cameras. The major difference between the two is that outdoor cameras are built within a casing or enclosure that protects the sensitive electronic components of the camera from the weather and other environmental elements. These cameras often contain an International Electrical standard code rating that provides the user with a description of the ability of the camera to withstand penetration by liquids and particles. This rating known as an Ingress Protection code or IP code is normally an IP66 or an IP67 for an outdoor CCTV video security camera. IP66 means that the camera is impervious to dust and that powerful water jets from any direction shall have no harmful effects. A rating of IP67 means the camera is impervious to dust and can be submerged in water up to 1 meter in depth. CCTV video security surveillance equipment cameras can be purchased with other specialized features. Most of these features are based upon recent technological innovations and may increase the cost of the camera depending on the feature and its range of function but are well worth the expense. For example, most CCTV video cameras create video using a small sensor chip called a Charged Coupled Device or CCD. The CCD converts the light transmitted through the camera lens into an electrical charge that can be detected and used to create high quality digital video. Some CCDs are so sensitive that they can produce high quality video with very little visible light. These cameras, are called day/night vision cameras. Other cameras, called Infrared (IR) night vision cameras can produce a high quality color image when there is visible light present and can produce a high quality monochromatic or black and white image under total darkness conditions when absolutely no visible light is present. Other features that can be included on CCTV video cameras include a pan, tilt, and/or zoom function, the ability to record audio, and the ability to transmit the video signal from the camera to a receiver using radio waves. Pan and tilt functions permit the camera to be moved in different directions allowing the camera to cover a wider area of view than one that is stationary. Using pan and tilt functions, one camera may be able to cover the area that may take two or three stationary areas to cover. The zoom function also allows the camera to take advantage of enlarging the field of view, much like a telephoto lens. Cameras can be purchased with the individual pan, tilt, and zoom functions or they can be offered collectively, often referred to as PTZ cameras. PTZ cameras can be controlled manually, by remote control, and by programming. Programming functions for PTZ cameras can provide automatic tracking functions when utilized with automatic motion detection. For example, the camera can follow a car traveling through a parking lot or an individual in a specific area. Wireless CCTV video security surveillance equipment normally uses the 2.8 MHz or 5.8 MHz radio band to transmit the video image from the camera to the receiver, which then sends it along to the processor. Cameras come with built-in antennas and circuitry that send the images. CCTV video security surveillance equipment has seen tremendous technological improvements in just the past few years making the equipment versatile and affordable for just about any application.